I swear I eat other things besides sweets. And pumpkin-flavored things. 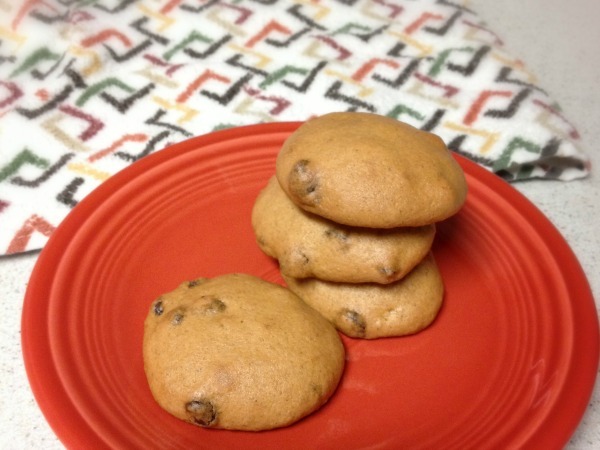 But if you'd look at these cookies and my newly updated Recipes page, you probably won't believe me. Here is a little fun fact about these cookies... This recipe is from my 7th grade Home Economics class. That's like... 13 years ago. Whaaaaat?! Seriously, I remember the paper the recipe was printed on and it had little hand drawn jack-o-lanterns on it. So if you think this recipe is too complicated, remember that my 13-year old self managed to make it work. 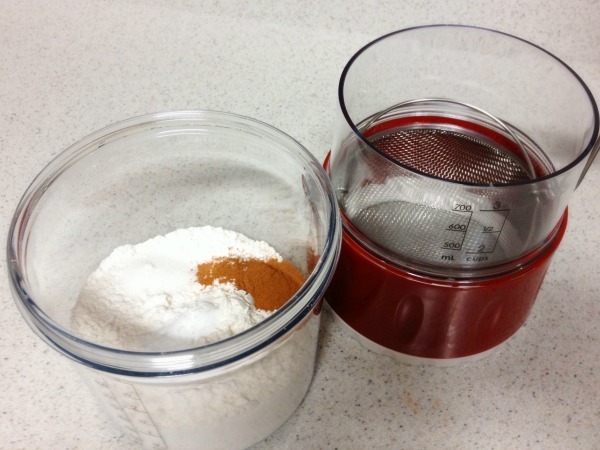 Sift flour, salt, baking powder, baking soda, and cinnamon together into a large bowl. I have this sifter. 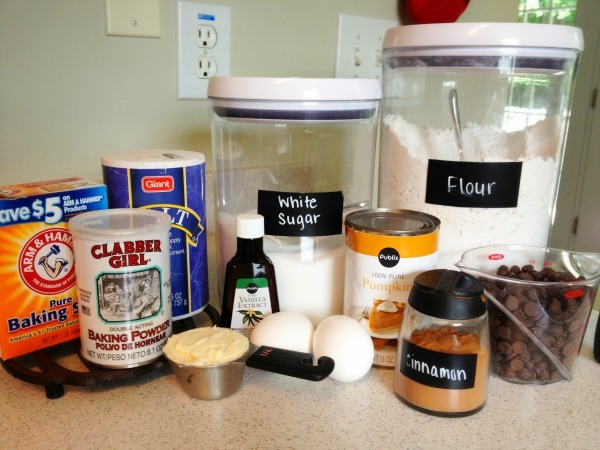 It's so easy to use and worth it if you bake often! 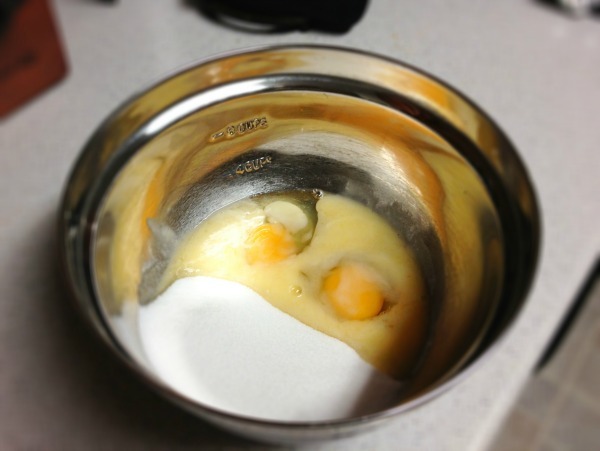 In a smaller bowl, mix together sugar, eggs, and melted margarine until creamy. 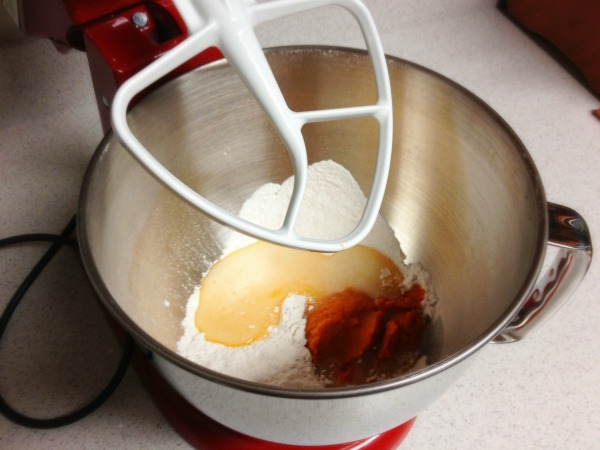 Add half of egg mixture to flour mixture, then half of pumpkin. 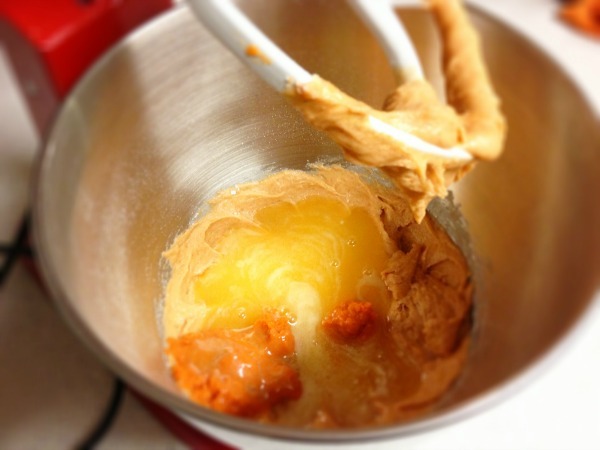 Mix until just coated, then add the remaining egg mixture and pumpkin puree. 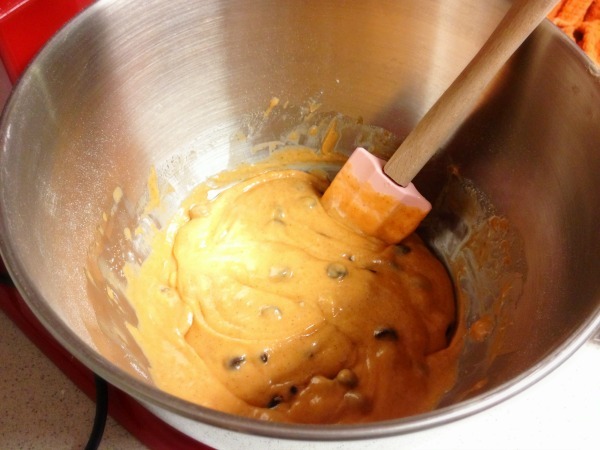 Note: Dough will be much more sticky than you are used to for chocolate chip cookies. Just go with it. Stir in vanilla, chocolate chips, and nuts. Drop by the spoonful (for the love of God, do not try to use your hands) onto greased cookie sheets. I've gotten into the habit of using parchment paper on my cookie sheets and it makes cleaning up a breeze. Also, make small cookies. These expand a lot and you will probably end up with mammoth cookies if you use more than a tablespoon of dough per cookie! Bake for 12 to 14 minutes or until cookies are browning on edges. Place on cooling racks immediately. So there you have it folks, easily one of my favorite recipes of the Fall season. Who would have thought I'd be making these over a decade later?! Eeks I'm feeling old. These look delicious! I think I am going to try them out this weekend! Thank you so much for sharing! These look so good! And they have pumpkin in them too?? I'm sold! I wish I had home ec. back in the day! They didn't offer it at my school but I really would have benefited from it! I can't bake to save my life! Those look so good! I will be making them very soon! Those look amazing!! Can't wait to try this recipe. :) Thanks! Well doesn't this look absolutely delish?! Why has this kind of cookie never crossed my mind before? Thanks for sharing - yum!! 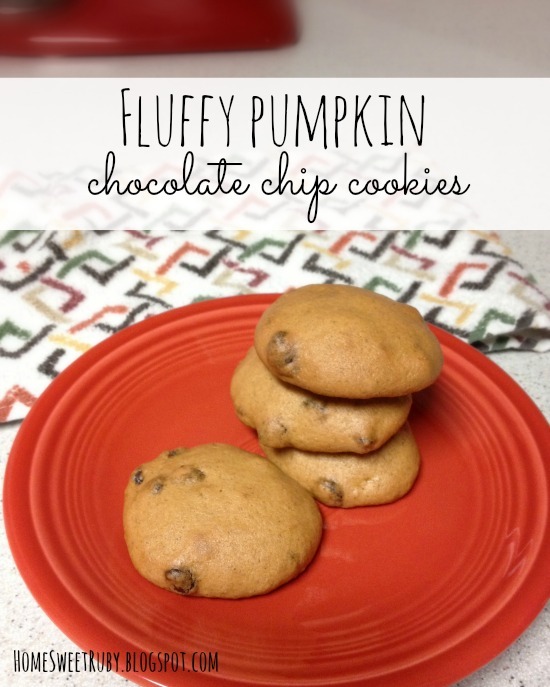 I made these last Fall and my family raved about them! I'll have to make them again...they are so goood!! !